Hitting the gym each and every day can be inconvenient, not to mention expensive. Perhaps that’s why so many women prefer to do workouts at home instead. However, there’s just one problem. Exercising at home can often be less effective as working out in the gym, depending how you do it. Thankfully, adding some resistance band training to your routine could be a simple way to solve this conundrum. Here’s what you need to know. 1. What Are the Benefits of Resistance Band Training? What Are the Benefits of Resistance Band Training? Are you thinking about trying resistance band training for yourself? 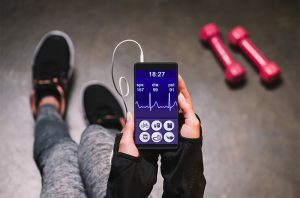 While you’ve probably heard of this type of exercise (and maybe have even seen people doing it), you may not fully understand the many benefits that it can offer. Not only are resistance loop bands low-cost, but they can have a whole wealth of health benefits as well. Here are some of the reasons you should try this type of training for yourself. 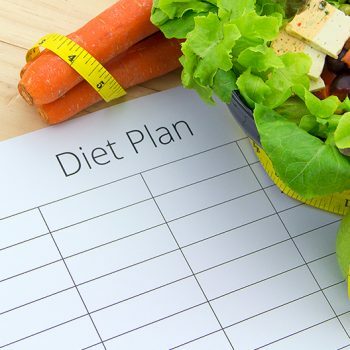 If you’re on a budget, finding the money to put toward exercise can be hard. Gym memberships and home fitness equipment can be expensive, to say the least. However, starting resistance band training in the comfort of your own home could be the answer. 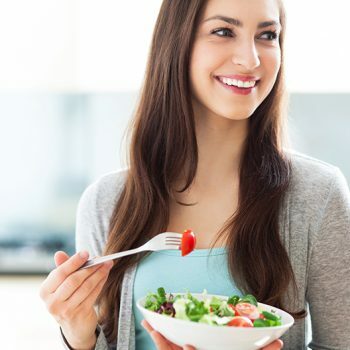 Experts note that one of the major benefits of this type of activity is that it’s affordable. So long as you have space in your home, you can simply invest in a quality band and start working out right away. You don’t need a fitness trainer to help you. There are plenty of videos on YouTube and articles online that will help you along the way. With that in mind, your only real expense is the band itself, which isn’t costly at all. High-impact exercises, such as deadlifts and squats, can be dangerous if you’re new to them. Luckily, that’s where resistance band training comes into play. Using these bands can mean that certain exercises have a lower muscular impact. That could mean that they are an excellent way of introducing the activities to your current routine. 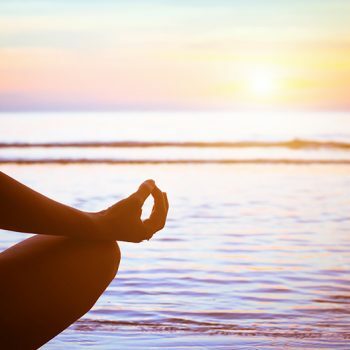 Many women find that high-impact exercises can be too strenuous and stressful for their bodies. That’s why using resistance bands could be the way to go. Lowering the impact of these activities while still getting an effective workout gives you the best of both worlds. Considering weight training for yourself? The truth of the matter is that resistance band training could be just as effective. 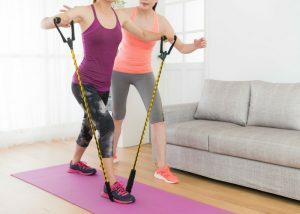 In fact, research published in Human Kinetics suggests that using these bands can offer people similar results as using weight training machines. When you factor in the fact that bands are far more affordable than a gym membership or, indeed, a machine, using them is a smart way to tone up. When you picture a home gym setup, you likely imagine an array of machines crammed into a small room. It doesn’t have to be that way. One of the most underrated benefits of resistance band training is the fact that these pieces of equipment are small and portable. You can easily store them in a drawer or gym bag. That means that your home training gear doesn’t have to take up an entire room of your home. Chronic neck pain is one of the most common ongoing health conditions in the US. According to a National Institute of Health Statistics survey,15% of all reported pain conditions have to do with neck aches and pains. Of course, certain jobs in which you have to crane your head regularly will increase your chances of experiencing this particular health concern. So, what can you do about it? One study published in the Journal of Physiotherapy and Rehabilitation suggested that using resistance band training could be the answer. Researchers worked with dentists, all of whom had an ongoing neck condition, to determine how to best relieve the pain. People of this profession were chosen as previous research had found 55% of all dentists experience neck pain as a result of their work. The research compared standard neck exercises (which are usually prescribed by doctors) and resistance band training. The latter proved more effective. The results showed that those who used a band were able to reduce their pain levels as well as strengthening their muscles at the same time. Working out at home has a range of advantages, not least that it’s free and convenient. However, if you’ve been exercising for quite some time, you might be looking for a way to take things to the next level. Resistance band training allows you to do just that. When you use the band, you add resistance to the moves. That in itself means that you will get a deeper and more effective stretch or move. If you want to increase the intensity of your current workout, you might have found the easiest way to do so. Let’s deal with the burning question here. You’re likely wondering how to use resistance bands in your home workouts. While these pieces of equipment might look rather alien to you, they are not at all intimidating. In reality, you can start using the bands from the moment that you get them. Here is some advice that you need to keep in mind. Before we look at how to use resistance bands, let’s talk about which band is right for you. 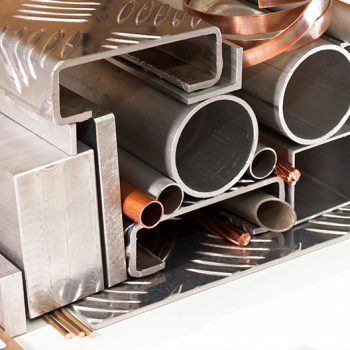 Believe it or not, there are a variety of different bands out there, so choosing the correct one for your level is crucial. When you go to a sports store, take the time to talk to the sales advisor and find out which band offers the most resistance. You can also try pulling on the different bands to feel which are firmer. When you try other exercises, you might find that the faster you move, the more effective they are. This is not the case when it comes to resistance band training. 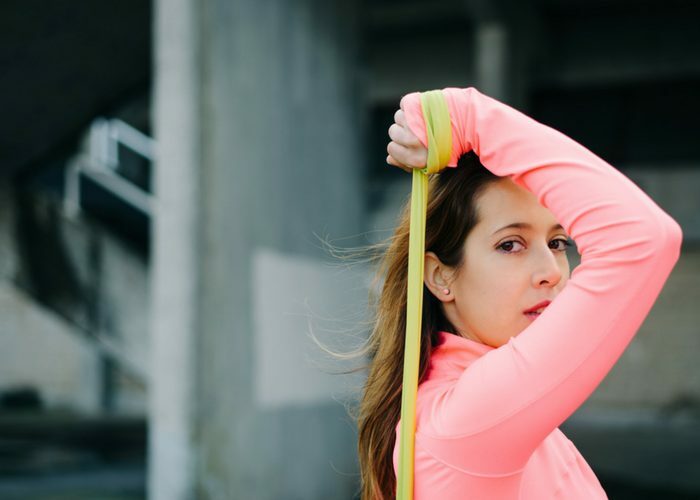 If you don’t know how to use resistance bands correctly, you could run into trouble. You need to make small, precise, controlled movements. Concentrate on your stance and getting it right. When you embark on a new set of resistance band training, you should already have a clear idea of your goals. You need to work in sets or timed periods. For example, when it comes to exercises, you could try a set of 20-30 reps. If you’re stretching, you could aim to hold a certain position for 20-30 seconds. If you’re already comfortable with a range of at-home exercises, adding some resistance band training to your workout should come naturally. You can use the band in some of the most common activities as well. Consider ways in which you can incorporate the band into your current workout regime so that it increases the impact it has. For example, when you’re doing sit-ups, you could tie the band around the lower half of your legs and push against them to add resistance. The more you push your legs outward against the band, the more your quads will need to work. In turn, that should also increase the tension in your core, meaning that the whole exercise is more effective. Alternately, you may wish to use the bands instead of weights when you’re completing a set of bicep curls. Simply stand on the middle of the band and hold the ends of it in each hand. Raise your arms, like you would in a standard bicep curl and feel the resistance from the band pull back. You can make the band tighter or looser depending on the intensity you need during your workout. When it comes to how to use resistance bands, there’s one important thing that you should always keep in mind. You don’t want to push yourself too far here. When you’re using resistance, there are some dangers involved. If you’re not sure how far you can go, it’s better to be safe than sorry. Still worried? For extra advice or support, it could help to talk to a professional who will be able to give you the personalized advice you need. Want to tone your legs and get the most out of your at-home workout? While there’s a lot you can do without using any equipment, adding some resistance band training to the mix could prove beneficial. Using this piece of gear, you can create extra tension in your muscles, which will ultimately mean that they work harder during each set. 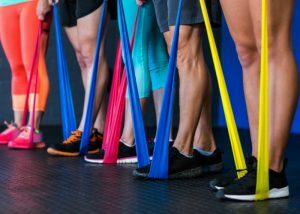 Of course, if you don’t know anything about resistance band exercises for legs, you’re going to need some help along the way. Before you begin, take a look at some of the best and most effective exercises for resistance band leg workouts. Why not give them a go? Directly targeting your quad muscles, you can’t go far wrong with a leg extension resistance band training exercise. Of course, you should make sure that you stretch and warm up your legs before you attempt a move like this one. This has to be one of the best resistance band exercises for legs. To start, put one loop of the band under one arch of your feet. Hold the top ends of the band with two hands. Move the anchored leg outward while maintaining your core position. In a swift motion, kick your leg out forward and push against the resistance band. Repeat this 10-15 times. When you have completed the leg extension on one of your legs, you should switch to the other one. Be aware that one of your legs will always be a little stronger than the other. Ready to define your glutes and quads? Well, then you might want to try this squat exercise. You may already be a pro when it comes to regular squatting, but resistance band squats are a little different. With this particular exercise, you add an extra level of difficulty to your day-to-day routine. Adding this move to your resistant band leg workouts is certainly the way to go. Start by standing on top of your band with your legs a hip-width apart. Grab each end of the band and pull it upward. You should aim to pull the band above your shoulders, if possible. Finally, you need to squat down as you would normally. Make sure you drive your weight through the back of your heels. Put as much pressure as possible on this area and lean back rather than forward. It might take some practice to perfect. 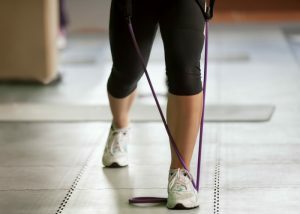 Did you realize that you could also tie your band to get more out your resistance band training? It’s true! When you want to get that extra deep pull, you might want to try this for yourself. One of the most effective resistant band leg workouts involves tying your band at each end and putting it around the lower part of your leg. This type of resistance band training targets your adductor longus muscles which are on your inner thigh. When you have the band secured around your legs, you need to step from side to side. Step one leg outward so that the band stretches far and then bring the other leg toward it. You should repeat this move many times during a set. Adding a little resistance to your leg curls could be the ideal way to get more out of them. The tension that resistance band training adds to your routine should never be overlooked. This next exercise will help you tone the quad and glute muscles in one simple move. Stand with your legs a hip-width apart and draw one of your legs up backward to a bending position. Loop your band around your ankle so that it holds your leg in place. Hold each end of your band with each hand in front of your body. The band should create a sort of sling around your body. Bring your leg upward and down again. As you do so, you should feel extra pressure on your muscles. You can, of course, tighten or loosen the tension of the band to give you a more intense bout of resistance band training. Repeat this exercise on both legs. Balancing may be tough but keep at this exercise and you should find that it starts to fall into place. Of course, it should go without saying that the best resistance band training moves attack more than just one muscle group. With that in mind, say hello to the lying bridge. This multifunctional exercise targets your glutes, quads, and abs all in one go. As though that weren’t enough, this particular exercise is super easy to learn. Lie on your back with your knees arched upward. Tie the band around the lower part of your legs and add as much resistance as you need. Lay your arms down each side of you and gently thrust your hips upward. As you’re doing so, make sure that you keep your core strong and apply tension to your muscles. Repeat 10-15 times per set. The gastrocnemius and soleus muscles (or your calf muscles) can be particularly tricky to target. However, with that in mind, there’s no way that you should overlook this essential part of any resistance band training routine. The calf raise takes some practice, but when you get it right, all the hard work will be well worth it. 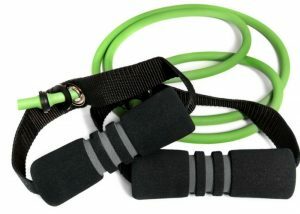 To make sure you get the most out of this particular resistance band set, you should raise the band as much as you can. You will feel the tension in your lower calf muscles. Release after a few seconds and then try it all over again. You can use any seat in your home for this next set of resistance band exercises for legs. This move puts pressure on your inner thigh muscles. 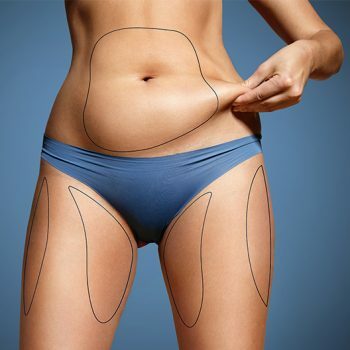 It helps to tone them and even slim them down. 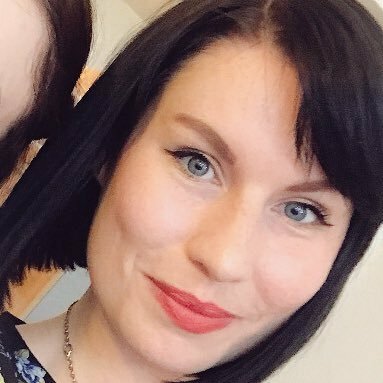 As this is a problem area for many women, it’s worth a go. To begin, sit on a chair and tie the band around the top of your thighs. Make sure that you have some wiggle room here as that will be crucial later. Next, you should turn your feet outward so that they are pointing in opposite directions. When you have done so, pull your legs apart so that they put tension on the band. Move out as far as you can. Of course, how far you can go will depend on the current strength of your muscles. At first, you may find that you can’t move more than a couple of inches. 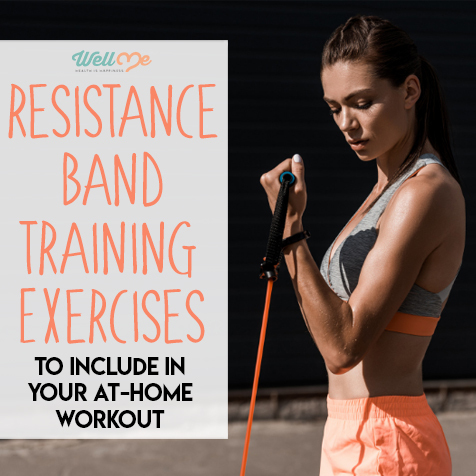 Remember, the more you take part in resistance band training at home, the easier it will become. If you’re completely new to resistance band exercises for legs, there’s one that you have to try. The step-out exercise works your quads, glutes, and inner thigh muscles and is strikingly straightforward. You can repeat this exercise at the start of every home routine to warm up and work the muscles quickly and easily. Place the band on the ground and stand on it. Your legs should be a shoulder-width apart when you first start out. Grab each end of the band and hold it by your hips. Step one of your feet out as far as possible, while still holding the band in place. Hold it there for around 20 seconds and then return to the first position. Repeat with the opposite leg. Working your external obliques which run down the side of your abs, the side stretch is fast and effective move. You can either try this stretch seated or standing up. It doesn’t matter which you decide. Hold the band with each hand and pull it tightly across the width of your chest. Keeping that frame strong, turn to the side and hold for 10-20 seconds. Are you doing it right? You should feel the stretch run down the side of your body. The tighter you pull the band, the deeper and more effective the stretch will be. Repeat this move on both sides of your body for the best results. 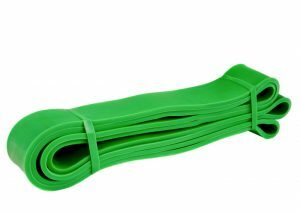 Opening up the pectoral muscles and giving them a stretch, this resistance band set is sure to feel as satisfying as possible. Hold the band in the same position as you did for the side stretch. For this resistance band training stretch, though, you need to pull the band as tightly as you can at each end. At the same time, push the band down a little too. You should find that this exercise hits your chest (AKA pectoral) muscles directly. You will feel the burn in this area right away, when you get the stretch right. Hold it right there for around 20-30 seconds or as long as you can manage! Warming up your arms and shoulders is vital before you embark on a full workout routine. Luckily, the shoulder stretch ticks all of the right boxes. If you’re thinking about giving a resistance band arm workout a go, it may be worth trying this stretch before you begin. To start, place the band on the ground and then put your feet on it to hold it in place. Pull the two ends of the band up with your hands and tie them together to make a loop. Hold onto the band using your hands, but keep them a shoulder-width apart. Move from side to side with the band, keeping the tension at the same time. You should feel a stretch in your shoulder muscles and also your biceps too. You may have tried the pike stretch already without using resistance band training. Put simply, this stretch involves standing up straight and then bending at the waist. Without bending your knees at all, you should see how far down you can get. The stretch works your core but also helps you to increase your flexibility too. If you want to add your band into the mix, there’s an easy way to do so. Fold the band over in half or thirds so that it’s small. Hold each side with one hand and then pull tight. Complete the stretch as you usually would. The extra tension in your arms takes the intensity of this stretch up a notch so it’s extra effective. Few people remember to stretch and open their back muscles, but it’s something that you need to do. Resistance band training should be used to work all areas of your body, which is why you should think about the areas that you don’t often use. For this stretch, stand with your feet apart and hold the band in front of you. You need to hold each end of the band firmly and pull it tightly. Lift the band above your head and then bring it down behind your neck. Go as low as you can and really feel the stretch. Hold for around 10-20 seconds at a time. So, what are you waiting for? If you’ve yet to attempt resistance band training for yourself, now is the time to give it a go. When you’ve found a band that is ideal for your skill set, try some of these simple exercises and stretches for yourself. You can also watch videos online and even ask a friend to join you. Try it today!